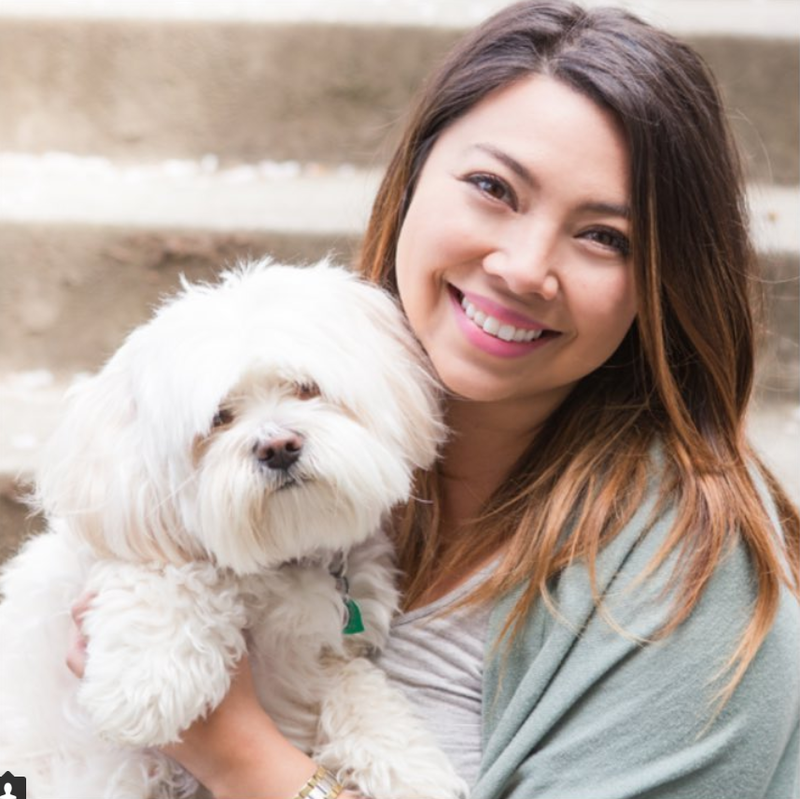 Meet our Designer Dream Teams for AFW 2019! 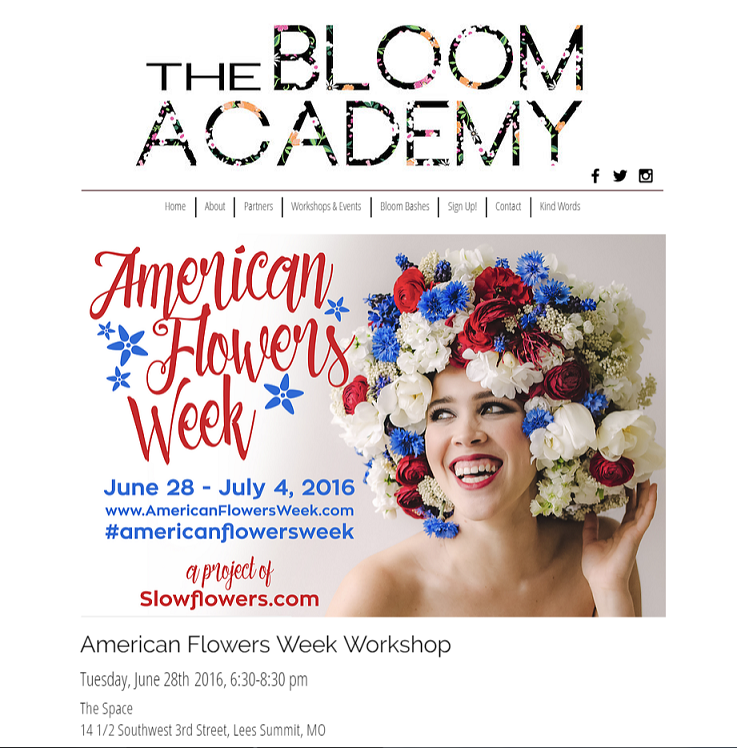 For the fourth consecutive year, Slow Flowers will commission designer-flower farmer creative teams to transform popular, American-grown flowers and foliages into Couture Fashion Looks for American Flowers Week! 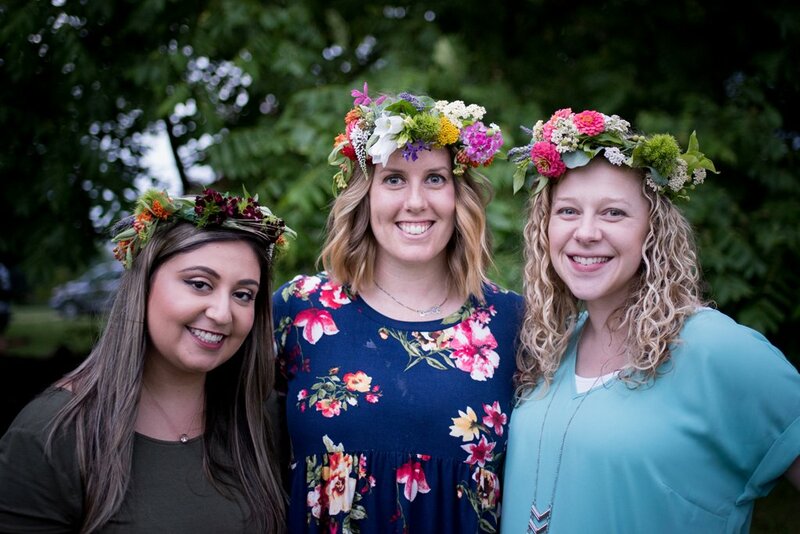 We’ve been working behind-the-scenes with a fabulous group of Slow Flowers Members around the U.S. to envision the “collection” for 2019. A few of the looks have already been produced and photographed; a few more photo sessions are on the calendar later this fall; and in warmer climates like Florida and California, looks will be designed and photographed over the winter months into early spring. 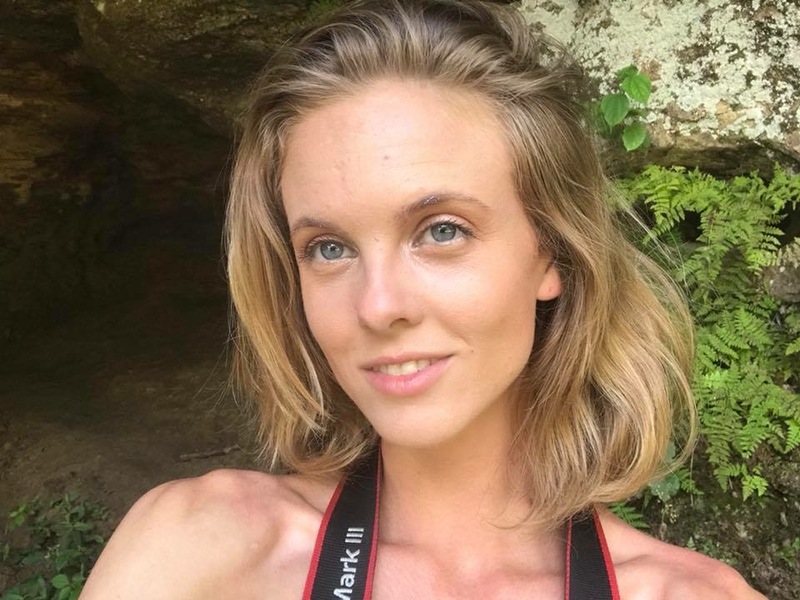 You’ll be the first to see the entire AFW 2019 Botanical Fashion Collection — we promise! 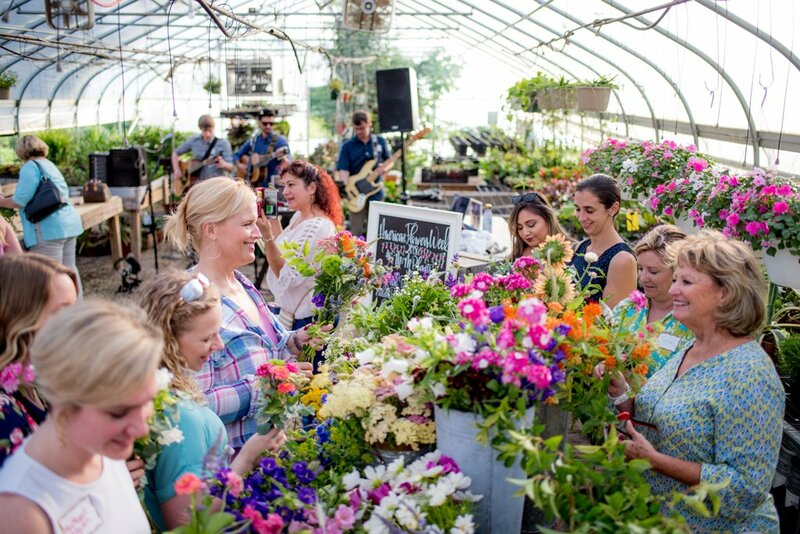 Being featured in Florists’ Review is one bonus for our participants and a wonderful change to promote local and seasonal botanicals AND your growing & design talents! 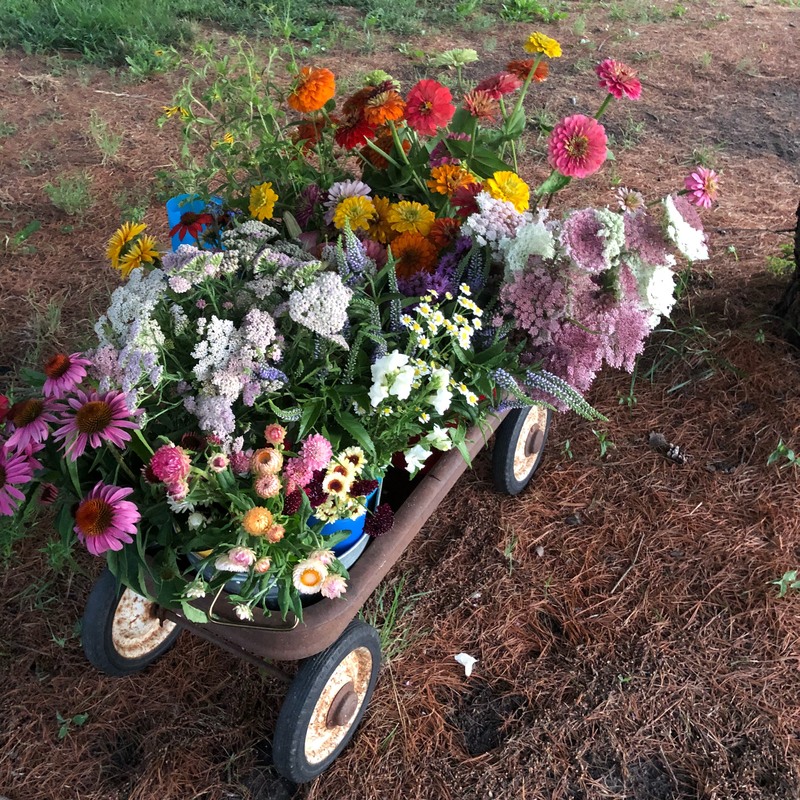 The series will first appear in the June 2019 issue of Florists’ Review, followed by many other platforms and channels. 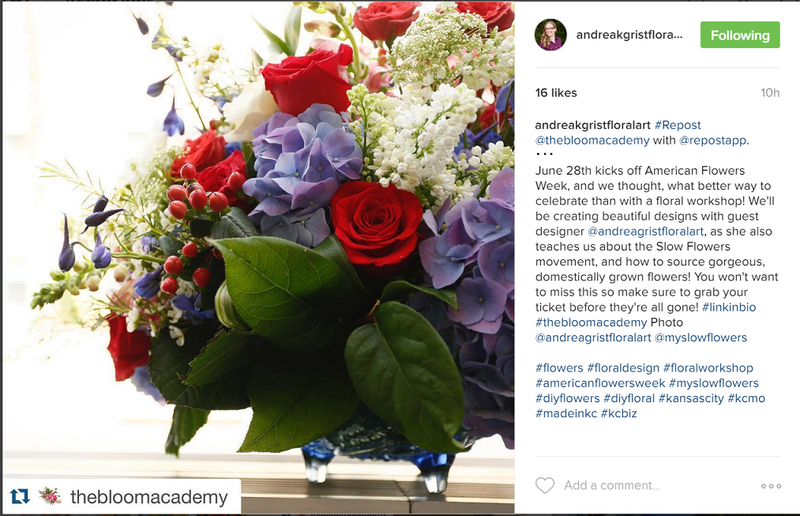 In fact, we’ll share American Flowers Week badges for you to download free and use in your own promotion and branding. Rayne Grace Hoke, with model and friend Mary Yarumian, on location at Johnny’s Seeds in Winslow Maine. 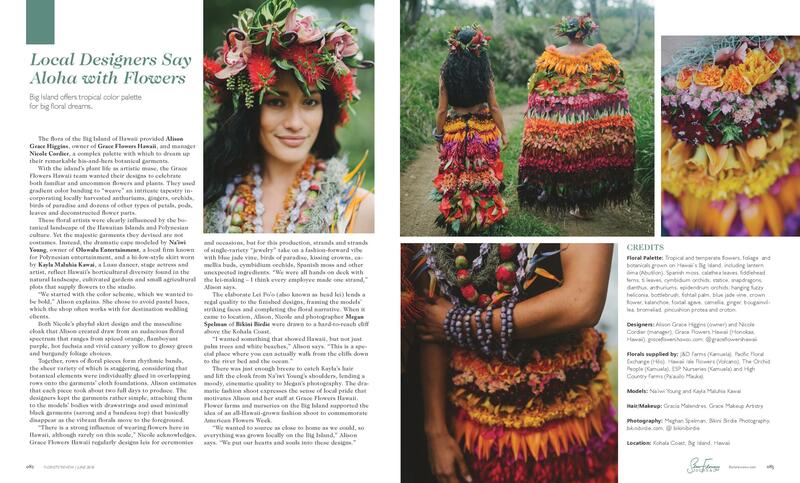 Rayne Grace Hoke of Florasmuse partnered with our very own sponsor, Johnny’s Selected Seeds, to create a stunning gown embellished with field-grown flowers, herbs and ornamental grains — harvested from Johnny’s famous trial gardens in Winslow, Maine. 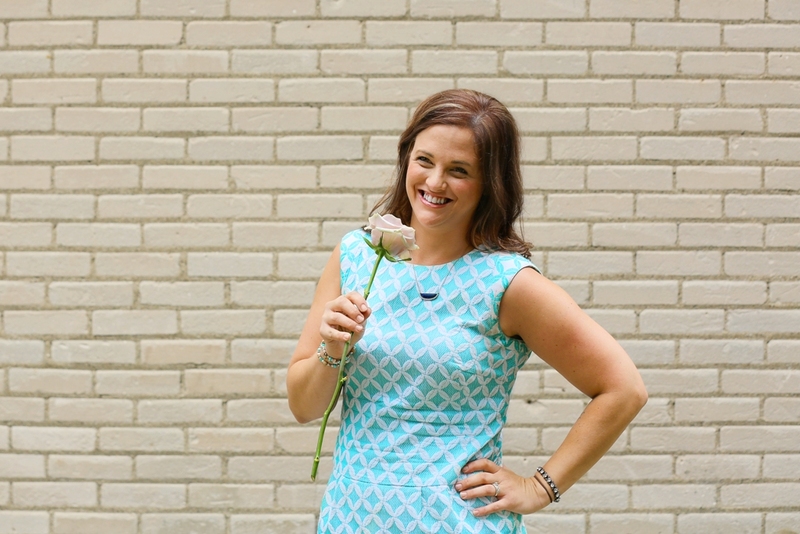 Andrea K. Grist of Andrea K. Grist Floral Art teamed up with Little Green Garden’s Beth and Joel Fortin to conjur a playful mini-dress inspired by woodland, meadow and prairie. Tammy Myers of First & Bloom expressed her PNW-inspired look in a stunning photo shoot at Laughing Goat Farm, which provided lots of seasonal blooms and a beautiful venue. 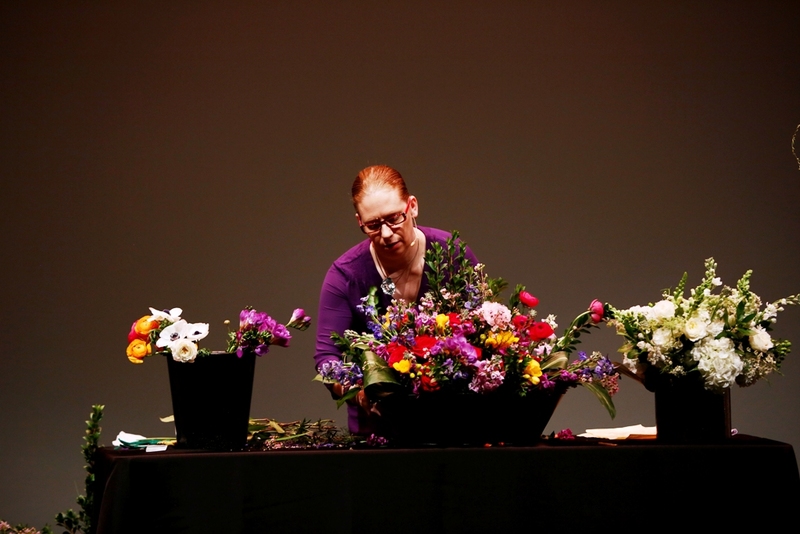 Kim Herning of Northern Lights Peonies and a board member of the Arctic Alaska Peonies Cooperative (a Slow Flowers Sponsor), produced a dreamy peony-embellished dress, along with design assistance from Roxy Marcy of Alaska Alchemy. 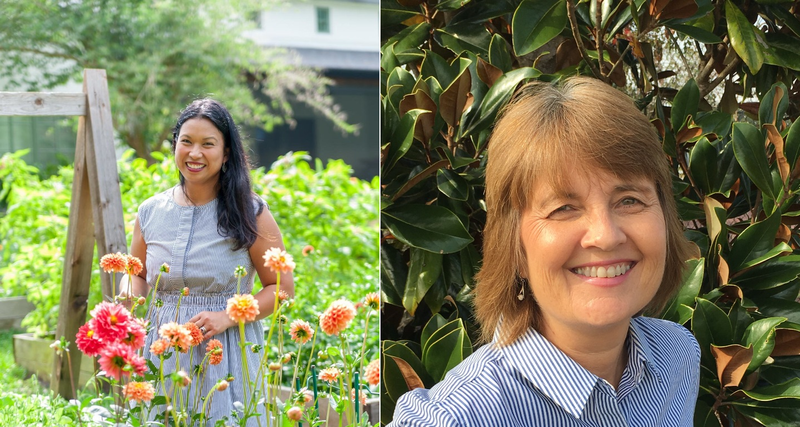 Eileen Tongson of FarmGal Flowers, based in Orlando, is teaming up with Jana Register and the fern and foliage farmers from FernTrust in Seville to interpret a glam-greenery look. 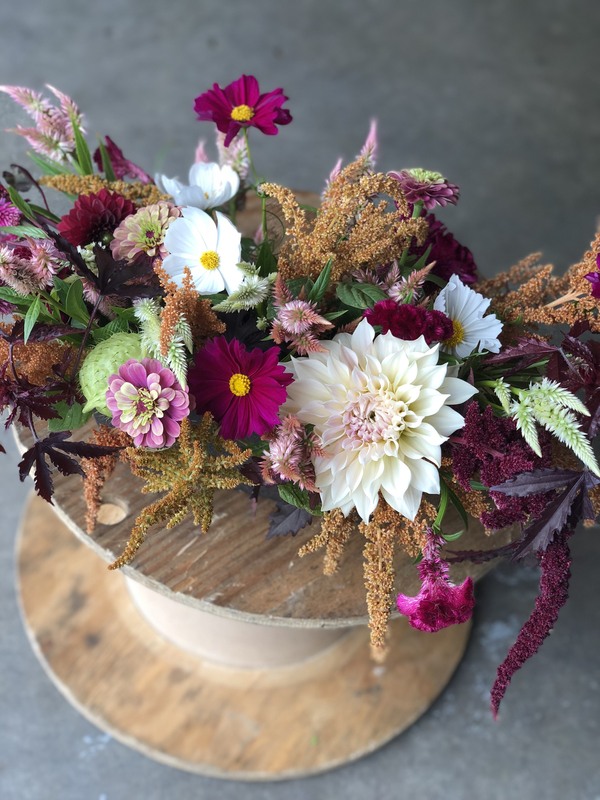 Our very own Jenny M. Diaz, the artist and graphic designer who’s responsible for all of the American Flowers Week branding, is bringing her fashionista vibe to a botanical couture look using flowers from Dramm & Echter Farm. 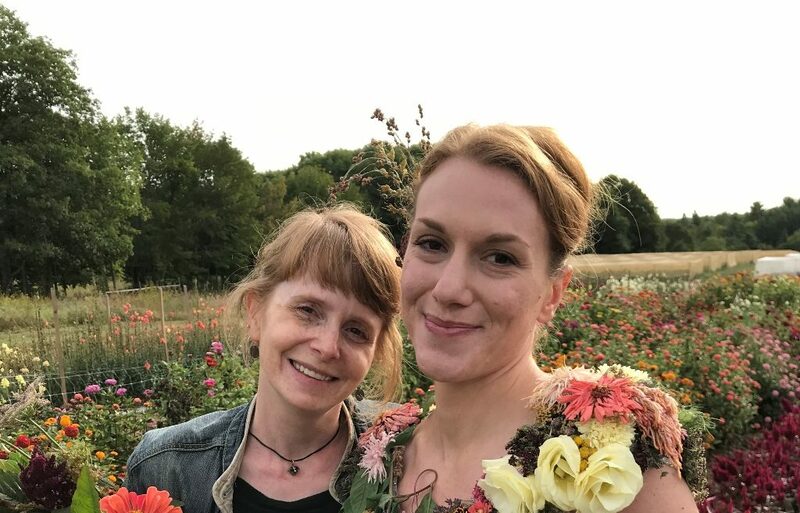 Beth Syphers of Crowley House and Bethany Little of Charles Little & Co., two farmer-florists and good friends are collaborating on a sassy 1950s-60s floral ensemble! Heather Grit of Glamour and Grit Floral is pulling together a creative team to produce a winter wonderland look ~ so Michigan, right?! Her theme: locally-grown ferns and greens. 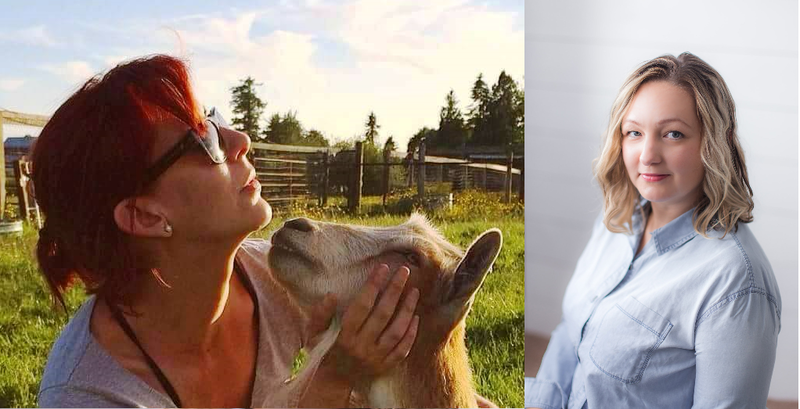 Two talents who are 100% committed to locally-grown flowers are teaming up for an uniquely Southern-inspired project. 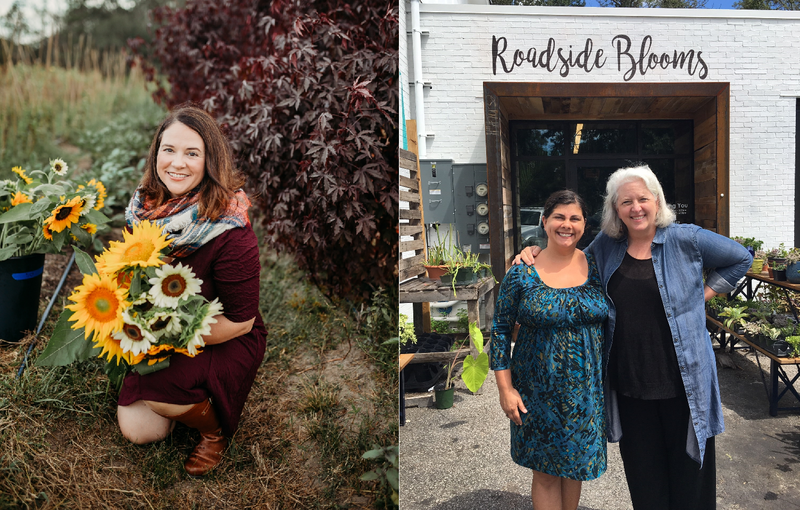 Laura Mewbourn of Feast & Flora Farm, a farmer-florist, and floral designer Toni Reale of Roadside Blooms envision a botanical look that reflects and respects the history of their region. MORE TO COME . 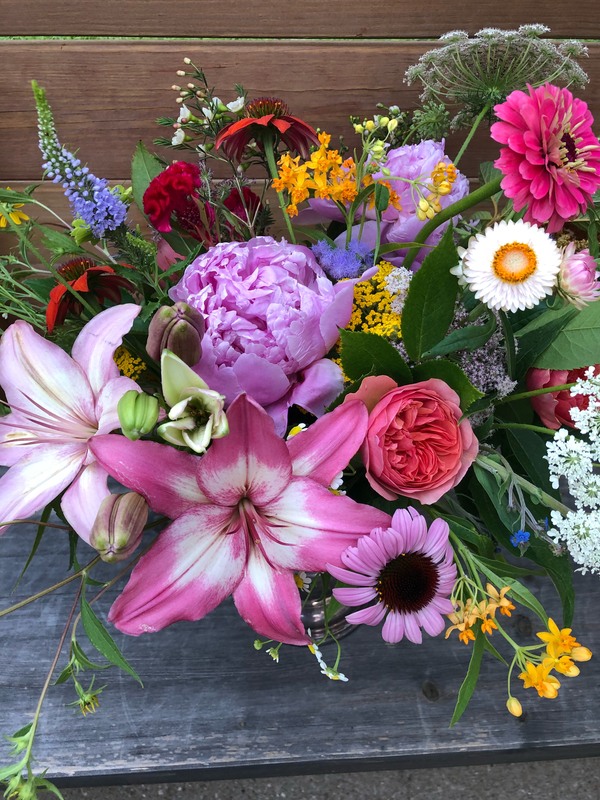 . . It’s no surprise that we’ve had more submissions for participants (floral designers and flower farmers) who really, really, want to participate in the 2019 Floral Couture Collection. And with so many talented creatives, we’re finding it super hard to say “no,” so stay tuned for more announcements! 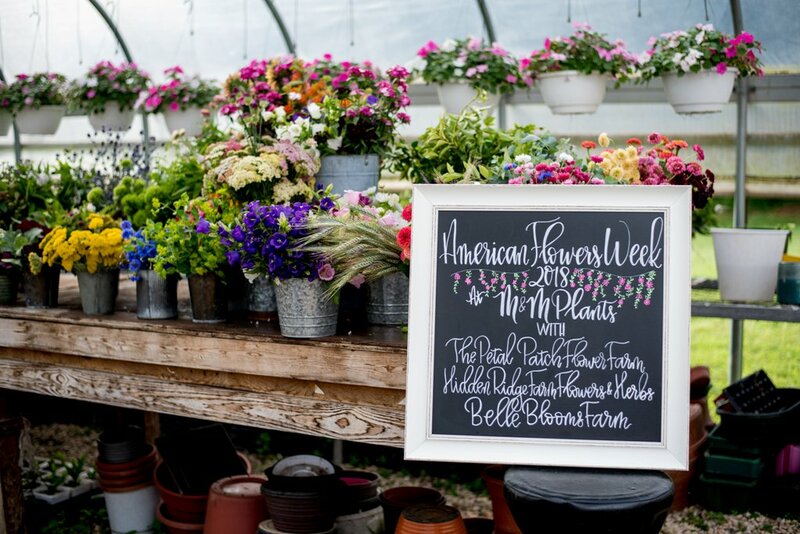 P.S., EVERYONE is invited to conjure their own American Flowers Week botanical couture wearable, because we hope to flood social media with #americanflowersweek goodness come June 28-July 4! Let your imagination go wild!